Thank you for looking at my product. 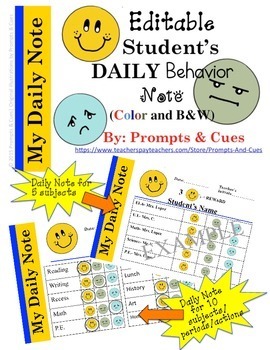 -10 row chart for Subject/Teacher/Actions in COLOR and B&W. 5) The date if you would like it preprinted, otherwise you can print out undated copies and date them yourself after they have been printed. 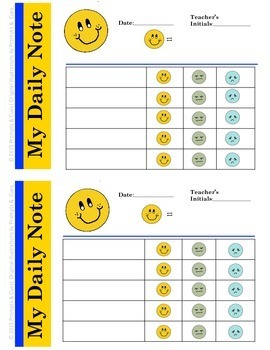 This is a great tool to also communicate with parents and have parents involved in their students behavior. 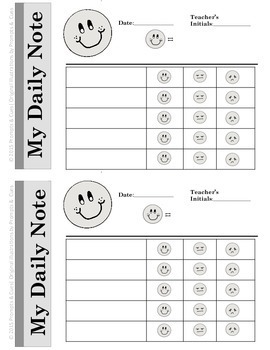 You can start with a small number of happy faces a student needs to get the reward and then raise the number as they are making progress in their behavior goals. 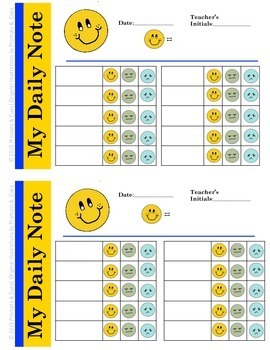 Either the parent or the teacher can give the student his reward he is working for daily. The reward will be determined between you, student, and/or the parents.